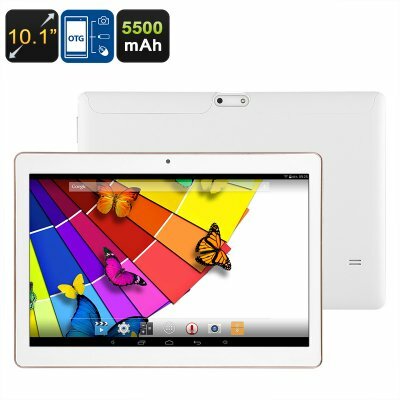 Successfully Added Android Tablet PC - Quad-Core CPU, 10.1-Inch Display, Bluetooth Support, 2MP Camera, WiFi, 5500mAh Battery, 32GB ROM, OTG to your Shopping Cart. This cheap tablet PC is a great gizmo for first-time tablet users. With its Android operating system, this Android tablet allows you to get used to all the great features this operating system has to offer. You’ll be able to play games, watch movies, browse the web, and write up files. Whether you use this cheap Android tablet computer for taking notes at school or for entertainment – it is sure to meet your demands. It comes packed with a powerful 5500mAh battery that treats you to 5 hours of usage time to get through the longest of days without needing to recharge. With its WiFi connectivity, this Android tablet allows you to browse the web and stream media whenever you’re at home, school, of the office. From now on you’ll always be able to find information online and stay connected to friends and family through social media. With Bluetooth and OTG support, this Android tablet can be used with a wide range of external hardware and gadgets to further increase your user experience. It even comes with a 2MP camera to snap pictures and a front webcam for online video calls. On the tablet’s 10.1-Inch display, you’ll be able to enjoy crisp HD visuals at any given moment. Your new tablet PC comes with a Quad-Core processor and 1GB RAM to make sure it can handle all the basic Apps and software features available. You’ll furthermore be treated to 16GB ROM and the possibility to slide in a 32GB SD card. Therefore, you won’t have to worry about running out of memory any time soon to store your pictures, media, and files. This cheap tablet comes with a 12 months warranty, brought to you by the leader in electronic devices as well as wholesale Android tablets..